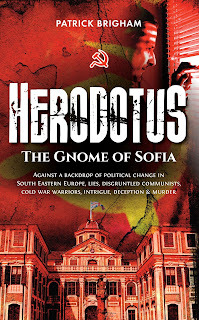 My book, Herodotus: The Gnome of Sofia, is a humorous account of a British diplomat and his fall from grace, and has its foundations in reality. When, in 1993, I arrived as a permanent fixture in Sofia, Bulgaria had hardly begun to get used to its new post Cold War existence, and the enormous Russian Embassy still somehow loomed large in the daily life of all Sofia residents. Especially the Bulgarian politicians of the day, and as it had continued to do, during the entire communist era. 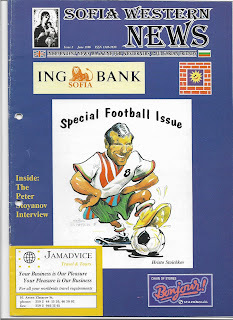 However, in 1995 and with trepidation, I started the Sofia Western News magazine and published my first flimsy edition in December of that year. As a newbie, I was amazed to find that the ‘Old Brigade,’ was still well represented in the capital, and that they held the most recent interlopers from the West, in total contempt. Generally regarded with considerable suspicion, the vast majority saw every foreigner as a spy, and this I regret to say, included me! What one was likely to spy on, was a matter for considerable conjecture - in view of the general state of the country and its non functioning economy - and even to this day, there are still Bulgarians who misguidedly believe their country to be, the ‘Trojan Horse’ of the great game of deception. Oh, really? Foreign diplomats, NGO’s and the various foreign national advisors, were especially suspect, and although quite innocent of any sedition or thoughts of espionage, they were nevertheless under Cold War scrutiny by the many underemployed agents of the internal security services, and even some past employees too. Totally baffling, to the many be-suited western acolytes and so called consultants, they became withdrawn, occasionally frightened, and finally, developed a kind of siege mentality. Rather like their Colonial forbears, they withdrew from the realities of Sofia life, closed their embassy doors at night, and thought of home. There were no secrets worth knowing that a half-wit couldn’t work out for themselves, or a casual reader might discover by reading an old copy of Janes Fighting Vehicles, on a wet Wednesday in Penge reference library, but that wasn’t the point. Because by then, not only was the general population in search of their own secret government held files, but there had appeared a few discrepancies in the CVs of various Bulgarian public figures, who had been active during communism, which has unrealistically occupied the Bulgarian press, ever since 1990. 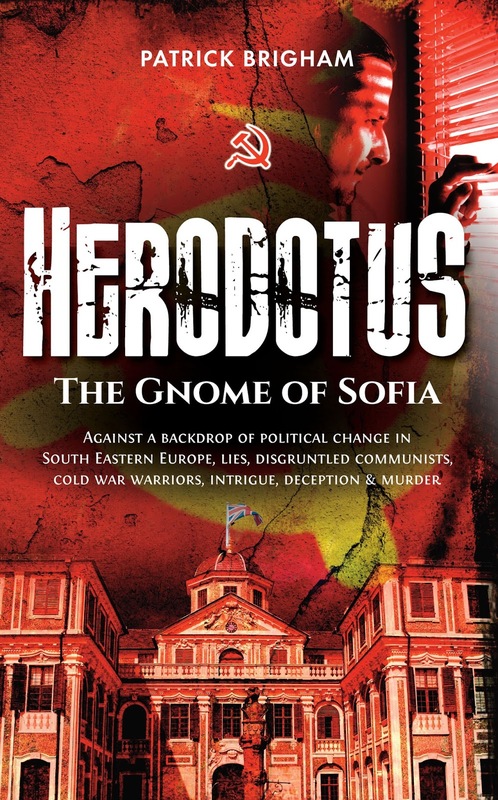 In Herodotus: The Gnome of Sofia, the character of Sir Arthur Cumberpit – a post communist British Ambassador – is not so different from the real diplomats of the day, and many of the foreign businessmen too. I have to admit to being a bit of an armchair idealist myself, but many of those I met at the time in Sofia, were not. Many were redolent of the passed over major, and some had even been given one last chance, to get their act together. There were even those, who fondly regarded their presence in Sofia to be a form of punishment, for some past sin - which is often the case in diplomatic circles – and the character of Sir Arthur is no exception. He just doesn’t know, what it is, exactly! But, there are secrets as well. One is that Sir Arthur comes from a humble beginning in Croydon, close to London, and isn’t really posh at all, although he tries to be. The other, is that Lady Annabel Cumberpot is the daughter of the UK’s most infamous spy, Jim Kilby. A great deal of the story surrounds this last secret, and many - mainly undeserved - consequences, cause her to suffer in many ways. And, were it not for the fact that Lady Annabel Cumberpot, herself, is the most obnoxious harridan on the planet, the reader might even feel a little sorry for her. Indifferent to his diplomatic post in Bulgaria, Ambassador Cumberpot believes his life to be hell. With a wife who treats him like a pathetic money box, not only does she walk all over and humiliate him whenever possible, she does so with everyone else as well. That includes certain Bulgarian dignitaries, invited to the Queens Birthday Party at the ambassador’s residence. But then, something unusual occurs.